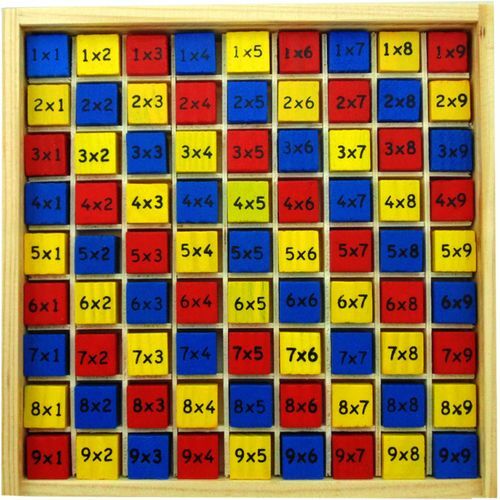 This wooden 1x1 to 9x9 times table board is the ideal education accessory for children who are learning their multiplications. The board features 81 recesses in which sit brightly coloured cubes. On each cube is a multiplication question to solve. When all in place the cubes create an attractive pattern and range from 1x1 all the way up to 9x9. The board also comes with an easily removable plastic lid for storage. Wooden times table board, Brightly coloured blocks fit into recesses.